The Senate on Wednesday asked the Nigeria Communication Commission to halt the proposed Internet data tariff hike. The proposed hike in tariff by the government agency has been roundly condemned by Nigerian consumers many of whom flayed the predilection of the incumbent federal government to crush out revenue from the already impoverished populace. The new data tariff regime is billed to commence Thursday, December 1, after the NCC had communicated the telecommunications companies and asked the big operators, namely MTN, Glo, Etisalat and Airtel, to hike data price. Nigerians consumers had taken to social media to protest the hike data tariff, which they fear was the government’s way to limit citizens' access to Internet. But on Wednesday, the Senate, following a motion under matter of urgent importance by Bala N' Allah, the Senate Deputy Leader, condemned the planned data tariff hike, and asked the NCC to halt the increase immediately. The new policy, NCC said in its directive to the operators , is to allow the “small operators” acquire market share and operate profitably. The commission introduced a new price floor of 0.90k/MB for data services, effectively hiking up data prices for consumers from December 1, 2016. Several reasons have been proffered for this. The NCC itself said the directive was to protect small operators and new entrants in the mobile data space. “In order to provide a level playing field for all operators in the industry [allowing] small operators and new entrants to acquire market share and operate profitably. 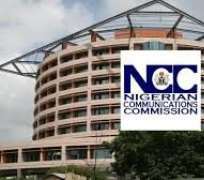 Small operators and new entrants are hereby exempted for the price floor for data services,” the NCC said in an enabling document obtained by the media. “For the avoidance of doubt a small operator is one that has less than 7.5 percent market share and a new entrant is an operator that has operated less than three years in the market,” it added. The NCC itself has remained surprisingly silent. Its twitter account does not have any information on the issue.